We had been close friends for twelve years, and I was blessed to be with him as the doctor helped him die. Growing stiffer and frailer over the last year or so, he had still enjoyed life, including a short walk we’d taken just a few days before, with him happily chasing down a ball I’d thrown out of reach. He suddenly got worse. The ER doctor guessed he had pancreatic cancer and probably other serious problems as well. Intensive medical treatment would hurt a lot and might do no good at all. At most he’d have a couple more years to live, and he’d live those in pain. He gained no benefit from living longer. I held his head as the doctor gave him the drugs that stopped his heart. He died with dignity, and that was beautiful to see despite the pain I felt. I’m describing the death of my dog Moby, whose last hours I wrote about here https://aleteia.org/2017/11/15/253000/ . He had been a great dog and I couldn’t let him suffer till his natural end. He might have taken days or weeks to die. Love for the poor animal required I let him die quickly, easily, without suffering. And I wanted to be with him when he died. I’d seen my father (https://www.firstthings.com/article/2011/03/real-death-real-dignity), my mother, and my sister (https://aleteia.org/2016/09/15/my-sister-died-and-i-have-no-lessons-but-that-god-stays-with-us/) die. None died with what people mean when they talk about “death with dignity.” They didn’t die at the time of their choosing, with all the people they would have chosen around them, with the words and ceremony they designed. They didn’t die still feeling healthy and without the humiliating medical interventions that come with dying. They didn’t die in control of everything. Yet. But. I wrote that almost seven years ago, and still believe it, but I also see much better now how appealing is the popular idea of dying with dignity. Since he died, I’ve seen my mother die, then my sister, and now my dog. The three human deaths were messy, difficult, inelegant. My dog died much more cleanly, simply, more artistically and elegantly, than they. He didn’t keep suffering, he didn’t have to feel helpless as he declined, he didn’t have to wait. I didn’t really see how appealing this was before. I could see that people might be so afraid of dying painfully they’d choose to die early. I could see that they might want to choose the day when they’d suffer the inevitable. Most of us would feel something of that were we to be dying as they were. What I didn’t see before was how people might see a planned chosen death as a beautiful thing. For a long time, the poster boy for euthanasia was the extraordinarily creepy Jack Kevorkian. The Hemlock Society’s Derek Humphry was not much more attractive. Both preached “mercy killing” and “assisted suicide” as a way of avoiding pain and the embarrassments that come with dying. They talked about “dignity,” but mainly as the negative state of not suffering indignity. They appealed mainly to fear. 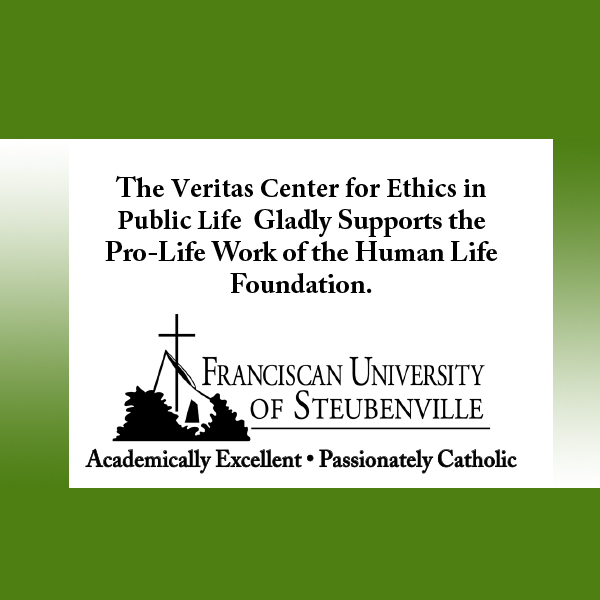 Those of us who speak for life “from conception to natural death” http://www.usccb.org/issues-and-action/human-life-and-dignity/ need to understand how appealing “mercy killing” can be. We think of it as an act of fear, because its most notorious advocates usually present it that way. We urge courage and consolations, and stress the ways palliative care can save the dying from pain. Those answers might satisfy the dying if they only feared dying. But they won’t satisfy the dying who feel their chosen death would be a positive good. Not an act of escape, but an appropriate way of rounding out their life, of going out cleanly, simply, artistically, elegantly. I felt that way holding Moby’s head on the floor of Exam Room # 2, and what I felt about a dog a man might feel about himself, or another person. This complicates our work. We would say that a man is not a dog. What was beautiful for Moby would have been a horror for my parents or my sister. As human beings with human dignity, their lives have meaning we cannot cut short. “Yes, I agree!” will say the one who wants to die with dignity, or the one who wants to help someone else die with dignity. They’ll argue that part of our dignity is our human ability to choose the time and the way we die. We are rational creatures and choosing when to die is one of the highest expressions of that reason. We are most human when we freely choose to let go of life. We are less human when we cling to life. That’s what they will say, and they’ll say it sincerely. To that there is no simple counter-claim they, or more crucially those who don’t know what to do, will find convincing. What to do about this, I don’t know. 1,024 people have visited this page. 1 have visited this page today. —David Mills, former editor of First Things, is editor of Hour of Our Death and the "Catholic Sense" columnist for The Pittsburgh Catholic. This article is so incomplete… offers almost nothing to counter the pro-euthanasia perspective. Yes, there is no simple answer, but could we at least have an attempt at a complicated answer that might be more convincing? The beginning of an idea, any kind of idea, instead of an “I don’t know”? No, sorry. The purpose of the article is to point out how assisted suicide appeals to many people as a good thing, a beautiful ending. It appears to them a positive good. That’s something I think the pro-life movement doesn’t always see and usually underestimates. For example, a lot of pro-lifers respond to the idea that people need to be able to kill themselves when they’re suffering from cancer by stressing how effective palliative care can be. That argument won’t work on these people. They’re not escaping pain so much as rounding off their life. At least they think that’s what they’re doing. This is an excellent piece. I worked on end-of-life issues for a pro-life organization for about a year. In addition to the common argument from (fear of “being kept alive and in pain, or on machines” is a huge reason people favor physician-assisted suicide, or PAS), the argument from “beauty” is rapidly growing — it’s painted as a beautiful way to die, free from pain and at the time you choose, perhaps at a party (yes, this has happened) or in the arms of people who will be required to cheer your “brave choice.” Many, many people are afraid of dying alone and impaired, and our fractured families and the real specter of long, drawn-out illness while old and alone terrifies people. The ancient pagan idea of living a robust life and dying with magnanimity is back, and in a big way. People do not want to suffer anything, and our horror of suffering is growing. A “beautiful death” as the end of a well-lived life can seem ideal, so much so that for many it trumps any qualms about people being made to feel as if they ought to die, and soon. Like the author, I have no suggestions about how to counter this, because it is part of a complex world-view with a strong emotional appeal. Death is unavoidable. We cannot escape it. Imagine a man waiting for execution as a criminal – which, after all, describes all of us. He has repented his crime. He knows he is guilty. He knows he deserves death. Is it more in accord with human dignity that he be allowed to kill himself – or is it more dignified that he accept his punishment … with dignity? The Sisters of Life’s spring Imprint newsletter (http://www.sistersoflife.org/newsletters) has some profound reflections on end of life issues and dignity in dying. In particular, their interview with Dr. Michael Brescia gives lots of food for thought. I now find each new revelation of something I have to “give over” to be the source of joy and a positive challenge. Ultimately I am convinced that our deaths are the time in which we face the ultimate act of “giving over” our lives to God. If we have not practiced this virtue in life, it will only be by God’s grace that we will be able to do so in death. In witnessing the death of my mother, and of a neighbor, I was struck by the labor that each individual manifested in what clearly was the “giving over” of their lives. My neighbor was a Silver Star recipient in WWII and he was a handful the whole time I knew him. He frequently cursed at me about our tree that dropped leaves in his yard. The tree had been there 25 years before we moved in, so something else was at work. At his death it was clear that my wife and I were he and his wife’s best friends in the world. We provided transportation and support to his wife while he was in the hospital. During that time he often said “God bless you for helping us,” to which I responded that it was an honor to be his friend. When the time of his passing was close I asked his wife if it would be OK to pray together with him. She responded that his dad was a minister, but that during his life he was a “bad boy.” She said she thought he would like us to pray with him so we all gathered around the bed and prayed the Our Father and a number of other prayers. She leaned over close to him and said, “Bill, you were not much of a husband, but I suppose I was not much of a wife. I love you.” He looked at her with love, and said, “I love you too.” He passed shortly thereafter. Something tells me that, if I make it to heaven, they will be waiting to greet me and my wife. Glad we had those final moments together. Peace on earth, goodwill to all through our Lord Jesus Christ. Murder by any name is still murder. Loving attention and the best Palliative care is more dignified than disposal. Did Jesus choose the moment of His death? Or did He choose to do His Father’s will? Did Jesus die with dignity? Not to the eyes of those around Him; except, perhaps, those who knew He was the Son of God. To determine the dignity of death I must accept the fact that my death, like my life, is a gift of Love, my Father: I accept your gift, Aba, even if I do not appreciate its temporal “wrapping” nor understand its eternal meaning. AMDG, Gonzalo T. Palacios, PhD, author of Mary, the Unwed Mother of God. The putting down of an animal (pet or not) by its owner in no way translates to the human experience of dying (planned or not) because unlike animals humans have a distinct awareness of what is about to happen and more importantly, regardless of one’s religious adherence (or not) most people intuitively know/hope/fear that there must more to their existence than what this life has to offer. In this respect, and absent a strong faith, the unknown naturally tends to unsettle. Animals have no such problem and can therefore go peacefully into the night trusting as only dogs can do their owner’s decision. Moreover planning one’s death does not eliminate the difficulty of dying. (As they say, you still have to be there when it happens.) Further, anthropologically speaking, planning one’s death is a most unnatural human experience and the results of seeking to “die with dignity” often results in something less than a dignified end. There was a film a number of years ago that followed the journey of an individual who sought to end their life surrounded by loved ones rather than face the prospect of a difficult death. It was an incredibly painful film to watch as the individual was obviously griped with doubts and fears about his decision in those final hours, which made for a terribly awkward situation for the so called loving relatives. The fact is there is no easy way out and a generation that has sought to ply the calm waters of life would be expected to be looking for a similar experience in dying. A so called death with dignity is alluring, to be sure, but just as in the case of “choice” (which has been exposed for the trap it truly is) neither allows one to escape the difficulties of living and of dying in a fallen world. An unbelieving world may, for a time, be expected to fall for this latest trap. What do we have to offer in its place? Love and truth, which must ultimately prevail. “I will harden Pharao’s heart…” God made me with such freedom that I can choose to believe the lie “you will be like gods” and reason my way out of love, beauty, truth. How can you answer one who has lost everything except his reason? No, this dignity without Love’s demanding submission can only be met with prayer and fasting, penances of reparation, witness, evangelization and martyrdom. Our culture has been called a culture of death, but more accurately it is a culture of this-life. Children are aborted in the name of “this-life of mine.” Elders are euthanized in the name of a “dignified” style of finishing this-life. Both are disputing that death should be God’s call, as surely as any next-life is his call. Perhaps it is worth to mention here the Tibetan Buddhist perspective on euthanasia (because that’s what “dying with dignity” really is). Tibetan Buddhists are against it because it can unpredictably mess up the karmic setup of an individual. This applies to all sentient beings, humans and animals alike. Then again, Buddhists in general, and the Tibetan (Vajrayana) Buddhists in particular, see death as a part of the process. Unfortunately, we see it only as an end of it. The concept of dignity, without referring its origin back to God, is parallel to saying there is no first cause, we just are. Dignity implies a respect, a lifting up a life of value, which, if we are animals, loses all meaning.. Any dignity we impart our animals comes from our source of dignity. In the wild we don’t decry a tiger it’s dignity because it plays with its wounded food before it tears it to shreds and eats it, because its behavior is simply part of its nature. Our ability to know God, to understand metaphysical truths, to find him in history, philosophy, in our hearts, and ultimately through the gift of his spirit, helps us intimately know why suffering exists, and how accepting it and offering it up for sin can transform the world. Otherwise, we wouldn’t see so many people wearing an object of torture and death around their necks, especially with a body hanging on it. the usual retort to my position is that it is ‘insensitive’, but that comeback presumes the fallacy that sensitivity requires that I agree with the opinion of another. Such a retort is coercive. The Human Life Foundation, Inc.